The Empire Strikes Back (also known as Star Wars: Episode V – The Empire Strikes Back) is a 1980 film directed by Irvin Kershner and produced by Gary Kurtz. 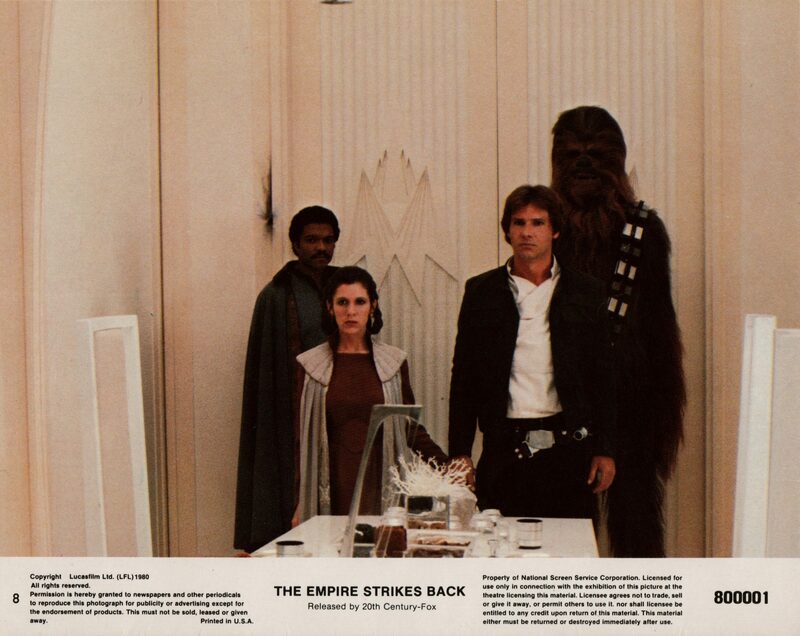 The screenplay was co-written by Leigh Brackett and Lawrence Kasdan based on a story by George Lucas, who also worked as an executive producer on the film. 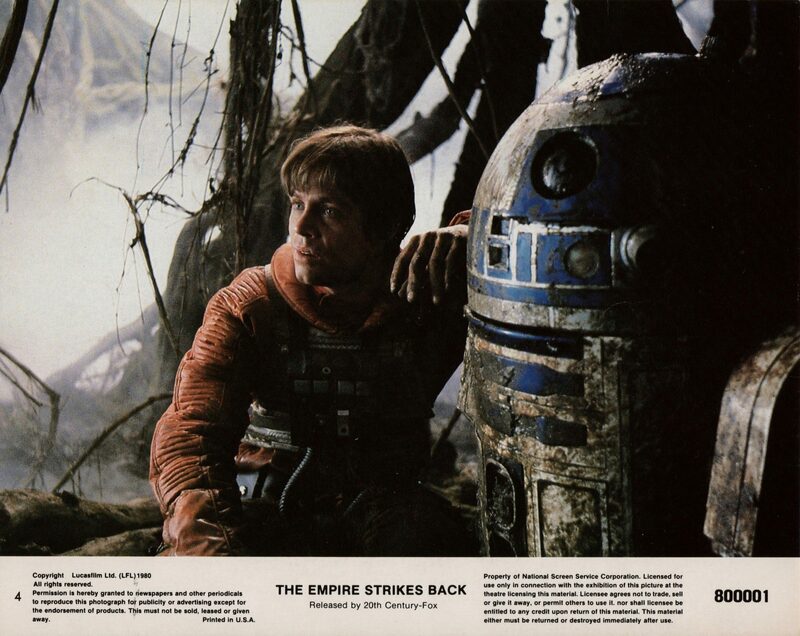 It stars Mark Hamill, Harrison Ford, Carrie Fisher, Billy Dee Williams, Anthony Daniels, David Prowse, Kenny Baker, Peter Mayhew and Frank Oz. 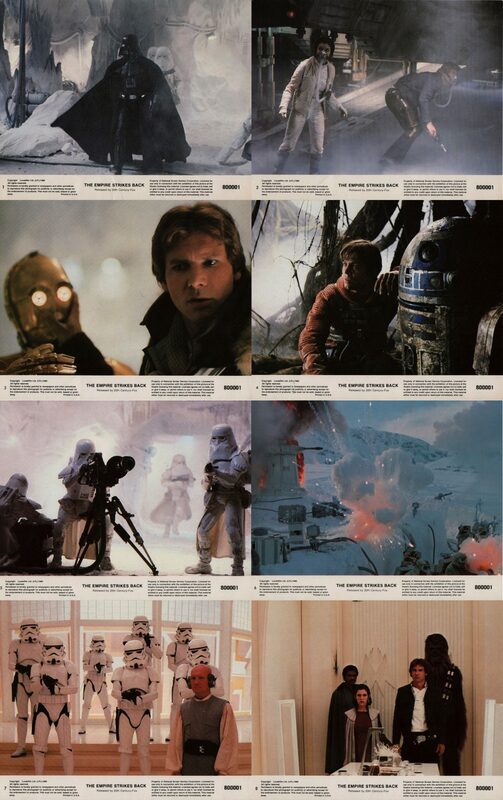 Empire Strikes Back is the second film in the original Star Wars trilogy is set three years after Star Wars. The storyline sees The Galactic Empire, under the stewardship of Darth Vader and the Emperor, pursuing Luke Skywalker and the Rebel Alliance. Luke continues his study of the Force under Jedi Master Yoda while his friends Han Solo, Chewbacca and Princess Leia are pursued through the galaxy by Darth Vader. Luke must decide whether to continue his training to become a full Jedi Knight or confront Vader to save his friends. Following the success of the original film Star Wars, which exceeded all commercial expectations George Lucas wanted to become independent of the Hollywood film industry by financing The Empire Strikes Back himself. Going against the norm he of never investing your own money to produce a film, he financed the film with $33m from loans and Star Wars earnings. 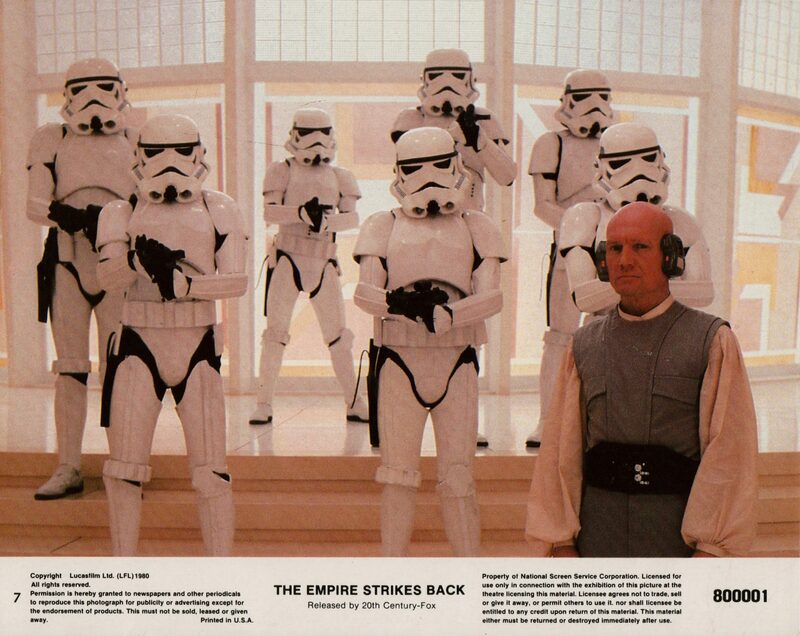 George Lucas chose not to direct The Empire Strikes Back due to other production commitments and offered the role to Irvin Kershner, one of his former professors from USC School of Cinematic Arts who had previously worked on smaller character driven films. He originally turned down the role due to his belief that a sequel would never meet the quality or originality of the first film. His agent changed his mind. Principle photography was started in Norway, at the Hardangerjøkulen glacier near the town of Finse where the crew faced one of the worst storms in 50 years and saw temperatures drop to -29°C and 18 feet of snow. 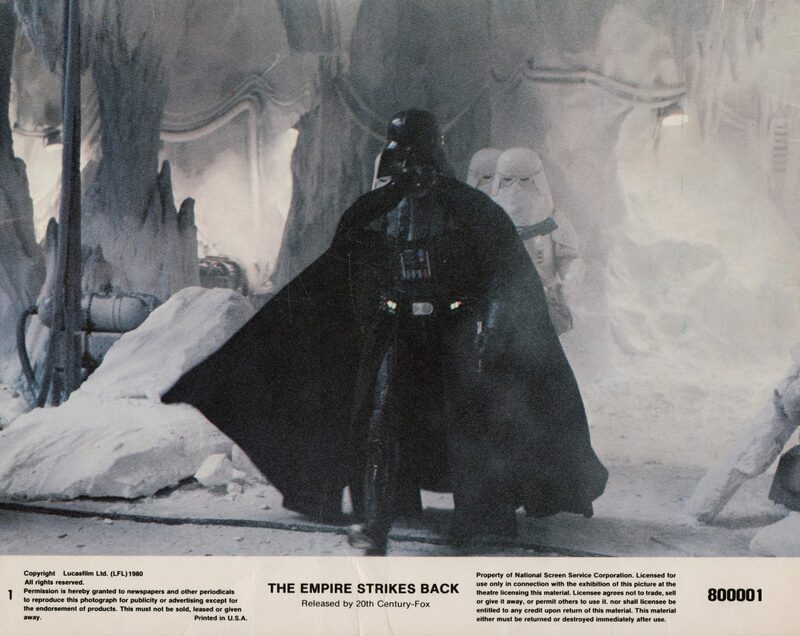 The scene where Luke’s exit of the Wampa cave was achieved by the crew opening the hotel’s doors and filming Mark Hamill running out into the snow. The crew remained in the warm confines of the hotel. After completing the work in Norway filming moved to the UK at Elstree Studios and over 60 different sets were built. However, a fire on Stage 3 at Elstree which happened during the filming of Stanley Kubrick’s The Shining forced the initial budget to be increased. Great secrecy was placed on revealing Darth Vadar to be Luke Skywalker’s father. 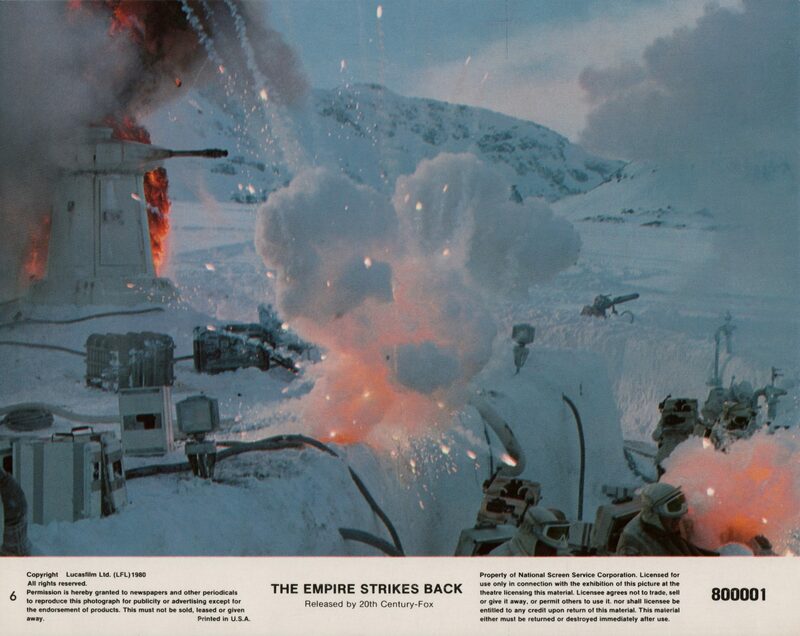 During filming David Prowse was given a ‘mock’ page in his script that contained the line “Obi-Wan killed your father”. Mark Hamill did not know about the real outcome until it was revealed just before the camera moves in his close-up. 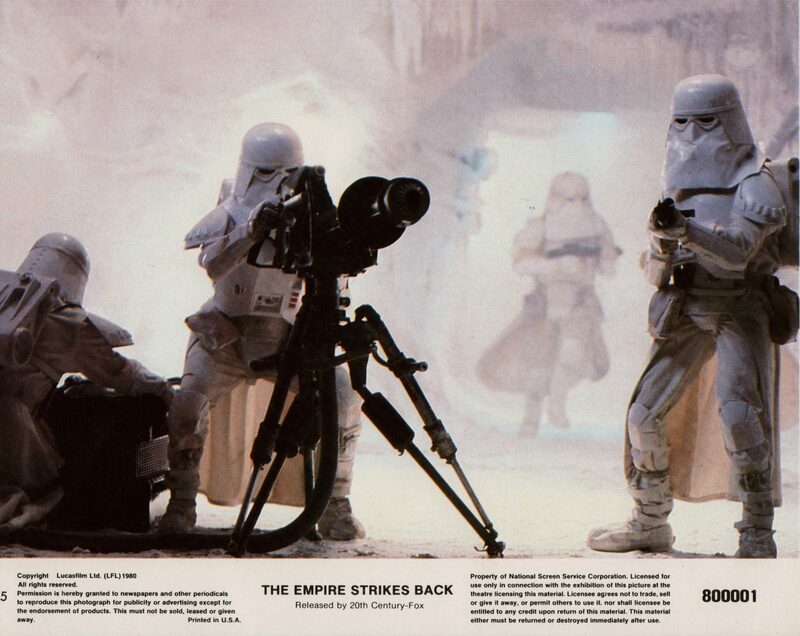 When The Empire Strikes Back was released it received mixed reviews from critics. Vincent Canby of The New York Times wrote a largely negative review as did Judith Martin of The Washington Post who criticised the film’s “middle-of-the-story” plot, which she claimed had no particular beginning or end. Ironically, this was a concept that Lucas had intended due to already having the idea for a trilogy with Return of the Jedi to follow. It was nominated for three Academy Awards where it won Best Sound and a Special Achievement Award for Visual Effects. In the Golden Globes it was nominated for Best Original Score and at the BAFTA Awards it was nominated for Anthony Asquith Award for Film Music, which it won and Best Production Design and Best Sound. Commercially it was a huge success during its initial release and subsequent re-releases where it still manages to draw in the crowds. During its opening weekend in 1980 the film earned box office receipts of $10,840,307 and within 3 months had recovered its initial budget of $33m and distributed bonuses worth $5m to its employees. 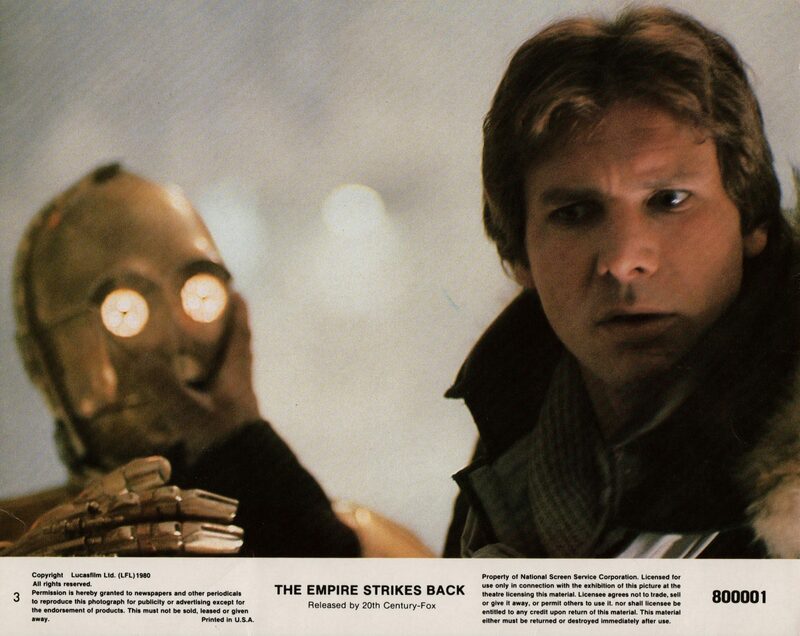 Total worldwide box office receipts for The Empire Strikes Back show it has made $538,375,067 for its original 1980 and 1997 Special Edition releases.